Medium fruity green olive flavour with ripe, clean and fragrant notes. It has great olfactory complexity and the fruity green aromas of banana, pear, almond and walnut stand out. Herbal and balsamic hints. On the palate it has a good structure and fruity complexity, with a mild bitterness and pungency. Very balanced. Due to its characteristics and nuances, our Noviembre Arbequina olive oil is perfect for consumption with desserts, fruit salad, sauces or fish. Noviembre Arbequina is characterised by being a milder and more fluid oil than the picual variety, more delicate on the palate. For the extraction of this olive oil we harvest the fruit at its optimum moment, at the start of its ripening. Its oil yield is low at this time, at the start of the season, but in this way, we obtain very complex and fresh aromas. 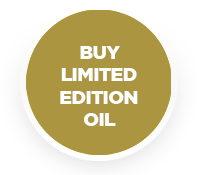 The oil is stored at a controlled temperature and atmosphere to retain the oxidation and allow it to reach the consumer with all its properties, without alteration.